In an industry were there are many looking to make a quick buck, it is no wonder that many carpet cleaners don’t make it past 5 years. Unfortunately many consumers now have to be wary of the carpet cleaners they let into their home. However, we realize it takes time to build trust with a client and we are willing to work for it. We hope you will give us a try and let us earn the privilege of being your cleaning service on an on-going basis. As we mentioned before many carpet cleaners don’t make it past five years. Many times it is because they are unscrupulous, unreliable and untrained. 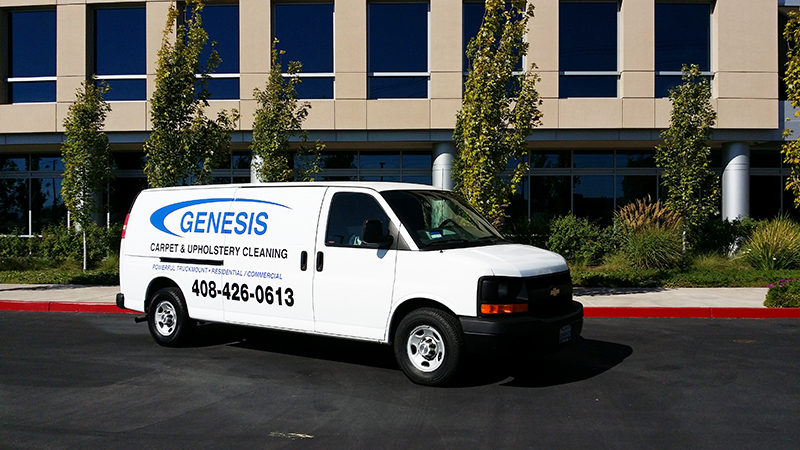 But we at Genesis have taken the long view towards business and have put the time money and effort to become one of the premiere carpet cleaning companies anywhere. It has paid off because we have been serving homeowners since 1991, over 20 Years! In our 15 year career in the cleaning service industry we are constantly being challenged by new and interesting cleaning problems faced by our clients. Therefore, training is important for each and every technician we send out to the field. Each of our technicians has received one-on-one training in the following areas: our truck mounted hot water extractions systems, proper cleaning techniques, proper and safe use of chemicals and of course customer service techniques. My father-in-law helped me fund this company & I started it from scratch. It was hard at first but I put my blood, sweat and tears into Genesis. One account turned into 2, then 3, then 4, and so on. One van turned into 2 and now we have grown to be an industry leader. We are at the top of our game & we believe our competition can’t keep up. As an owner, I pride myself in providing quality work. Your satisfaction is my goal. If you’re not happy, I’m not happy either. Customer satisfaction is our priority. The benefit of owner operator is that you will not have an employee do the work. Genesis is a family owned business. I have both of my brother-in-laws working for me and a few nephews. My father-in-law is a mechanic & keeps my equipment in top running order. I promise to use my 20+ years of experience & expertise to do the absolute best job possible! Gives us a try & see for yourself. The reviews here on Yelp speak for themselves.